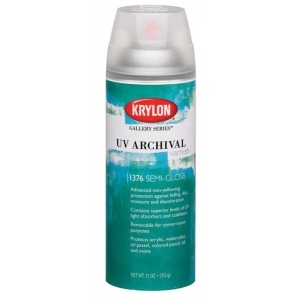 Contains Hindered Amine Light Stabilizer (HALS) and UV Absorber (UVA) for the maximum in UV protection. 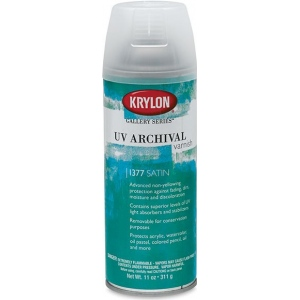 * Varnish is removable for conservation with mineral spirits or isopropyl alcohol. 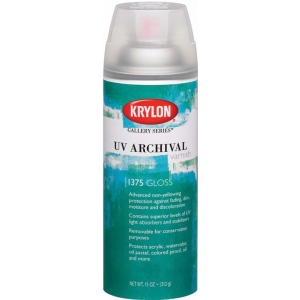 * Choose gloss level to provide invisible protection (For acrylic use semi-gloss or satin watercolor use matte oil pastel use matte colored pencil use satin or matte oil use gloss digital prints use semi-gloss or matte). * Or enhance artwork with a level higher or lower than the medium used. 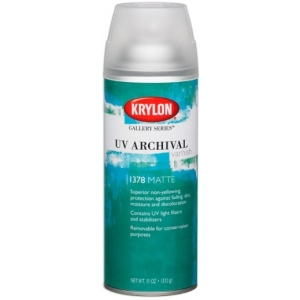 * Advanced non-yellowing protection against fading dirt moisture and discoloration.